Way back in the mid 90’s none of us had heard of the expression MPV or ‘multi-purpose vehicle’, but French car maker Renault changed all that by designing of a new type of car and one that on the face of it, none of us apparently needed. Launching the Renault Scenic in 1996 therefore may have seemed like a risky strategy but based upon the success of its big brother the Espace, Renault were pretty confident it could offer its customers such a useful, practical and sensible vehicle, that none of us would be able to ignore it, except it seems most other car manufacturers. Caught by surprise, it took car makers such as Ford & Vauxhall almost 10 years to get with the program and react to the innovative Espace which was launched in 1986, with unbelievably, Ford’s Galaxy not arriving until 1995 and Vauxhall’s frankly awful and short lived ‘Sintra’ a couple of years later in 1997, so how would they react to the Renault Scenic? For Vauxhall, it’s got to be said, it was pretty quickly, launching the Zafira in 1999 and it was a touch bigger than Scenic and straight off the bat, offered 7 seats and a pretty unique way of easily storing them under the floor. OK, Zafira maybe wasn’t the nicest or most rewarding thing in the world to drive, but it did offer a lot of bang for its buck and really could be called ‘multi-purpose’. Citroen also entered the market in 1999 with the bargain basement 5 seat Xsara Picasso and the Spanish built car sold in bucket loads, based (Citroen would say) on its quirky design, but in all honesty it was mostly on its fantastic value for money. Ford however sat on their hands, perhaps hoping that these mid size MPV’s would simply fade away, but by the time the boat was well and truly under sail, Ford had decided they had to respond and launched the Focus C-Max and because it didn’t quite fit the sector, they decided it should be called an ‘MAV’ or multi-activity vehicle. The Focus C-Max wasn’t a bad thing at all as it shared many of the components of the award winning Focus and indeed, sat on the Focus platform, so it was always nice to drive and indeed on that alone, it should have taken top honors, but its major disadvantage was that it was launched with just 5 seats, at the time when Renault were stretching the Scenic (calling it ‘Grand’) and bolting in 7 seats and of course, the 7 seat Zafira was improving, model by model. Seems illogical doesn’t it, but it’s my understanding is that Ford’s research at the time showed that the majority of people didn’t need 7 seats, so Ford opted for the easier to build 5 seat configuration, which it felt, would get to most of the market. Ford’s research however clearly didn’t show that whilst most people might not need 7 seats for a lot of the time, it was plain common sense that if you could get a (just in case you need it) 7 seat version for not much more than the 5 seat car, well you were going to do it, why wouldn’t you? Ford however stuck with 5 seats throughout the C-Max’s life, and even when they face-lifted it and dropped the word Focus, renaming it simply “C-Max” in 2007, the car still just kept its 5 seats. The face-lifted car was even better, superb to drive, and great to live with on a day to day basis and the fact that it sold in the big numbers it did was testament to just what a nice vehicle it was. Unfortunately, it still had the Achilles heel of being available only as a 5 seat vehicle and so for many buyers; it simply wouldn’t appear on their radar. Well that’s changed now and oh how it’s changed, because there is a new C-Max, and the car is a stunner. Gone is any ‘frumpiness’ that the old car might have been accused of and the new five seat C-Max which is for the first time joined by a 7 seat version called Grand C-Max are absolutely current and bang on message. Ford says the C-MAX and Grand C-MAX have been deliberately designed with two distinct characters. The five-seat C-MAX departs from usual MAV thinking by having a sportier feel with a stylish passenger-car look. It features a coupé-like, sweeping roofline which falls off to the rear, yet still retains the traditional C-MAX virtues of roominess and practicality. The seven-seat Grand C-MAX has a more functional appearance which highlights the extra space and versatility it has over the 5 seat version. With a longer wheelbase, the seven-seat model features a higher roofline and thinner pillars and that gives the driver excellent all round vision. The twin side loading doors are a first for Ford and they’ve done a pretty good job, as the sliding rail is concealed in the design of the shoulder of the vehicle. You can’t however help being reminded of the Galaxy, as both cars do share a family resemblance. Comparing the two new C-Max’s, the 5 seat version is perhaps the prettier car because its more sporty looking, whilst the 7 seat Grand C-Max with its higher roofline is possibly a touch more ungainly, however compare the 7 seat Grand C-Max with its competition from other manufacturers and swings the other way and it’s the Grand C-Max that’s going to win the “Miss 7 Seat” title. There is no mistaking the C-Max is a new generation Ford, as it shares design keys with everything across the range and if you’ve seen a new Fiesta and a new Kuga, try imagining something in between them, because that’s how new C-Max looks and very pretty it is. The beauty however isn’t just skin deep, because it sits on the same platform/chassis that the all-new Ford Focus will be using when it hits the showrooms in early 2011 and to be fair, the old Focus platform was arguably the best around, and this new chassis has been improved even further and that’s masterful work from Ford. The new C-Max fits into a market that is roughly 40% five seat and 60% seven seat so this opens up huge potential for the new 7 seat ‘Grand C-Max’ as previously, C-Max could accommodate the 40% who were happy with 5 seats, so I would expect Ford to do exceptionally well with this new car as buyer for the first time can get a mid sized 7 seat car with the ‘Blue Oval’ on the hood. In terms of model line up, Ford have kept it simple, with just Zetec and Titanium models available in both five and seven seat versions. Engine wise, there is a choice of five, with three petrol units, a 1.6Ti-VCT 105ps, a 1.6Ti-VCT 125ps and the most powerful1.6 Ecoboost that produces a stonking 150ps. Diesel options are the 1.6TDCi 115ps and 2.0TDCi 140ps, which is also available with powershift automatic transmission. Lowest CO2 of 119g/km is from the 115ps diesel when fitted in the 5 seat vehicle and highest is 159g/km for the 1.6 petrol units in the 7 seat version. Whilst we drove a launch version of the car, we have to say, it’s a sophisticated thing. The car gets Ford’s new all-electronic power steering system, which is mega impressive and way ahead of any similar systems we’ve tested as it actually gave us some feedback, much more like a normal hydraulic system and the amount of assistance it gives you is progressive and consistent and you really don’t notice it and that’s how good it is. The cars gearbox was exceptional, as were the brakes which really allowed you to progressively control the amount of braking you need. The cars suspension uses the ubiquitous McPherson Strut at the front and what’s called control-blade independent rear suspension, but what ever it is, the ride is excellent and inside the cabin, the lack of noise is really noticeable and what ever bad things you drive over, you seem to perhaps feel more than you hear? Our test car was a top of the range Titanium so had all the nice bits and pieces, but even the Zetec gets 16” Alloy Wheels, DAB Radio/CD, Bluetooth USB with Voice Control, Manual Air-Conditioning, Quickclear Heated Front Screen, Front Fog Lamps, Leather Steering Wheel a Thatcham Cat 1 Alarm and of course Ford’s ‘Easy Fuel’ system all as standard. Move up to the Titanium and the Alloys grow an inch to 17”, you get a nicer Sony DAB Radio, tables on the back of the front seats, Power Rear Windows, Global Closing, Hill Launch Assist, Keyless Start, Remotely Powered Child Rear Door Locks, Auto Front Wipers, Auto Headlights, Auto 2 Zone Air-Conditioning, Cruise Control with Speed Limiter and a system called DDS which detects any deflation in the cars tyres. A feature we especially liked was the electronic opening and closing of the tailgate and whilst that might sound insignificant, it really is pretty handy if you’ve got an arm full of shopping or are a little bit ‘vertically challenged’. Whilst we haven’t actually had a go ourselves, we were given a demonstration of Ford’s ‘optional’ semi-automatic parallel parking system and mighty impressive it was and we just can’t wait to have to try it out and report back to you. Ford have said the 7 seat Grand C-Max is the ‘spiritual successor’ to the old C-Max and that the 5 seat version is an entirely new thing and we don’t know quite that means. We assume because new Focus will be with us in early 2011, and the 5 seat C-Max offers a higher ride height than new Focus, that it will sit alongside new Focus much I suppose in the same way that the Ford Fusion was a kind of higher alternative to the Fiesta. Prices start from under £17,000 on the road for the 5 seat Zetec, rising to a touch over £23,000 for the 7 seat Titanium with automatic transmission, so it’s competitively priced and with strong anticipated residual values. At the moment, Ford is definitely on a roll, with a range of cars that we just can’t fault and to be honest, we have loved every new Ford we have tested in the last couple of years. It seems with these two new C-Max’s, they’ve worked their magic again. They’ve made an MAV, or MPV, or what ever you choose to call it that you simply would want to buy because it’s a good looking car and drives exceptionally well and what’s wrong with that? The new C-Max’s are younger, more on message and I feel will attract a new audience and one that’s probably more family orientated, and does not want or need a full size people carrier. We are looking forward to a much longer test of the new C-Max and once we’ve completed that, we will update this road test and give you any updates. 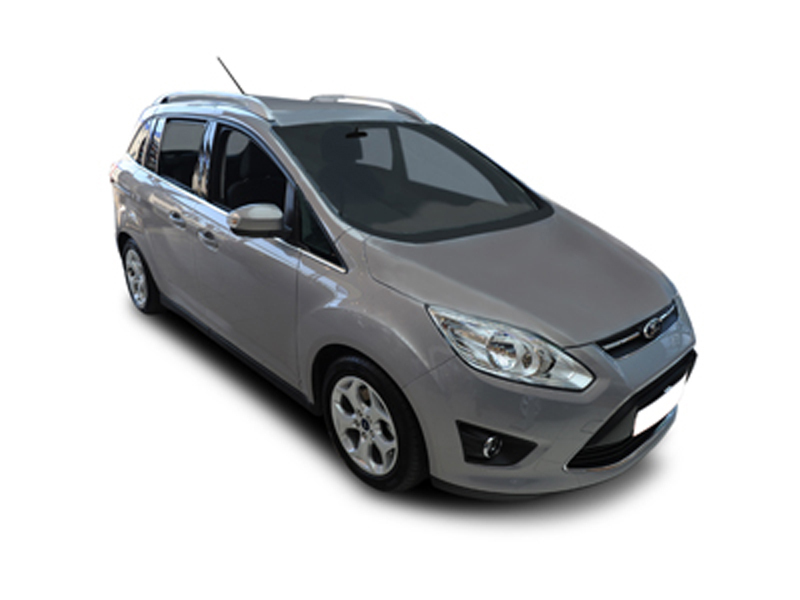 For a quotation on the new Ford C-Max or on any other new Ford, please contact us.